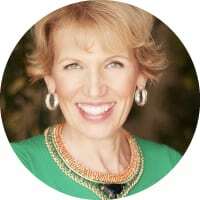 Mari Smith is often referred to as the “Queen of Facebook” and is widely recognized as one of the world’s foremost experts on Facebook marketing. She is a Forbes’ top Social Media Power Influencer, author of The New Relationship Marketing and coauthor of Facebook Marketing: An Hour A Day. Facebook hired Mari to go on tour with the company and teach SMBs at the Boost Your Business 2015 series of events. Mari is an expert webinar leader and live webcast host, and serves as Brand Ambassador for many top companies. She travels the world to speak and train at major events. My entrepreneurial career began in 1999 when I emigrated from Scotland to California, where I set up my own online marketing consultancy. I specialized in e-commerce, information products, email marketing and business development coaching. Fast forward to May 2007 — I got invited to be on a beta test team of a Facebook app and totally fell in love with the platform. I became a Facebook evangelist within a few short weeks, showing everyone I knew how to utilize Facebook as a professional networking platform. It was as though my two parallel passions throughout my career – my love of people and my love of technology – had merged and become one. My enthusiasm for the platform has never waned in my almost eleven years being a Facebook marketing expert. Social customer care – where Messenger and marketing automation meets with highly personalized human interaction. Companies that really get and integrate the power of Messenger from an end-to-end standpoint in the customer life cycle will totally rise above the competition in the future. Training on best practices and employee advocacy – helping businesses of all sizes to properly optimize all that Facebook, Messenger and Instagram can do for their company’s growth. The brands and SMBs that deploy proper social media marketing and social customer care training from the top down and the bottom up will lead the way. I like to say that everyone from the janitor to the CEO should know and understand what initiatives their company is doing across social platforms. Facebook’s Camera Platform – Mark Zuckerberg calls the camera ‘the first augmented reality platform.’ At the 2017 F8 conference, Zuckerberg gave the audience a glimpse into the future. When Facebook releases the ability to literally point your camera at any object with real-time visual understanding, where an information card pops up over an object and maybe even a buy button, this will be a total game-changer! Sheryl Sandberg, COO of Facebook – okay, I know she’s in a category of her own! I have the utmost regard for Sheryl; she’s an extraordinary leader and has spearheaded many important issues with her Lean In and Option B bodies of work. Larry Kim, CEO of MobileMonkey and founder of Wordstream – Larry is a total genius and one of the most humble leaders I’ve ever met. I’m always inspired (and secretly envious, ha!) of his immense capacity to create brilliant content. I’m honored to call him a friend. Joe Pulizzi, founder of the Content Marketing Institute – I have tremendous respect for Joe’s professionalism and all that he’s accomplished with building and selling CMI and CMW. He’s a fabulous and productive leader with integrity and he evangelizes and embodies best practices. I also admire his love of orange as much as I love turquoise, ha. OUTSIDE OF SOCIAL MEDIA MARKETING WHO ELSE INFLUENCES YOU ? Dave Ramsey’s EntreLeadership podcast with host Ken Coleman – this is one of my favorite sources of business inspiration. I can listen to any episode and learn terrific insights that are immediately applicable to my business. Darren Hardy, former publisher of SUCCESS Magazine, and author of The Compound Effect and The Entrepreneur Roller Coaster. I’m honored to call Darren a friend and have attended many of his training events, including his High Performance Forum. He’s an incredibly accomplished and disciplined leader. I refer all my clients to Darren’s book, The Compound Effect – it had such profound impact on me. Tim Ferriss – I’ve enjoyed so much of Tim’s work starting with The 4-Hour Workweek and more recently Tools of Titans. I can always glean total gems from Tim and apply his ‘hacks’ to my business and personal life. Jessica Lessin, founder of TheInformation.com – I’m a big fan of Jessica’s vision and execution in tech journalism. Her emails are one of the few that I actually look forward to and read with great interest! WHICH BRANDS OR PRODUCTS STAND OUT FOR YOU IN SOCIAL MEDIA MARKETING? Shopify — I love this Canadian-born ecommerce company and their fun Facebook posts and ads. Their global success is amazing and I love how even their Facebook video ads strive to teach and help. Thinkific — online course creation platform and another Canadian-born company (okay, I’m biased as I was born there, too, ha!). Their social customer care and engagement is unparalleled. I’ve commented on one of their Instagram posts at 11pm on a Saturday and someone PMd me right away. I’ve since met many of the team and love their platform. Buffer – social media management platform; they produce some of the best and most helpful blog content out there. I’ve also thoroughly enjoyed seeing the founders flourish over the years from a simple idea and startup. Storybrand – I’m a big fan of founder Donald Miller and his body of work. I find his company’s social media marketing warm and engaging, even when I’m being retargeted it’s actually enjoyable because I know his work is so transformative. I love to teach and train, especially when live and on camera. For example, PNC Bank hired me last year to lead a live educational webcast for their audience and we had over 7,000 participants; it was a tremendous success. I also really enjoy providing Brand Ambassador/Influencer Marketing services for companies whose products and services I love. I like to team up with companies that have a stellar reputation and provide quality customer service. For example, I work with BuzzSumo, Animoto, Cisco, Wave by Animatron, Hootsuite, BeLive.tv and Infusionsoft to name a few. Whether writing blog posts or articles, being interviewed on a podcast, co-creating a live webinar, teaching through Facebook Live, speaking at an event or co-creating a training course, I’m all in! Through my website at marismith.com or via Messenger m.me/marismith.